China has imported dozens of new drugs, including cancer medicines for government hospitals, even as it engages in long-drawn negotiations with India to allow Indian pharmaceutical products access to the country. A considerable volume of foreign-made drugs are now available in government hospitals across China to ease the cost burden of patients. The report didn’t mention the countries from which the medicines were imported, but it was learnt that none came from India. The 17 drugs are part of a list of 48 new medicines that were allowed in last year. These drugs are cheaper than the alternatives available in China. Indian drugs, especially cancer-fighting ones, are in demand in China. It’s too early to say if China’s decision to import drugs from other countries has shut the door on Indian companies, but it has certainly narrowed the scope. The government unveiled its much-awaited national air cargo policy, which seeks to make India among the top five air freight markets by 2025, besides creating air transport shipment hubs at all major airports over the next six years. The policy document released during the two-day Global Aviation Summit 2019, stated that the policy will encourage code sharing/inter-line agreements between foreign and Indian carriers. As per the policy, international cargo comprises 60% of the total air cargo tonnes handled in the country, logging a growth of 15.6% in the previous fiscal, while domestic cargo grew by over 8%, which reflects the skewed modal mix, in which roads account for over 60%of cargo transportation as compared to the global average of around 30%. Indian express industry is one of the fastest growing markets globally, but with a small share of about 2%of the global market, grew at a compounded annual growth rate of 17 % over the past five years and was estimated to be Rs 22,000 crore in 2016-17. The domestic express industry, a key constituent of the Indian express industry, is estimated to be worth Rs 17,000 crore, the policy document said adding that the international express is estimated to contribute Rs 5,000 crore to the Indian express industry. As per the document, the potential in the new markets needs to be explored with long-term infrastructure creation in order to sustain cargo growth in the next 10-15 years at least. The cargo policy also seeks to establish agreements between national carriers/ freighters and integrators to improve domestic connectivity as well as encourage the establishment of agreements between national and international carriers/freighters and other airline operators to provide access to key global cargo hubs.It also aims to promote the development of a last mile/first mile connectivity program at international/regional gateways, as per the document. 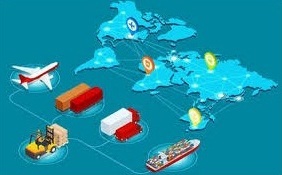 To increase process transparency while decreasing shipment delays, costs and dwell time, a fully automated paperless trade environment with minimum face-to-face interactions will be implemented, as per the policy document. The policy covers all three categories of air cargo transport – domestic cargo to ensure efficient flow of goods across India; international cargo facilitating all indigenous export and import of goods; and transit international cargo by making India the transit cargo hub of choice to and from other parts of the globe. The Directorate General of Trade Remedies (DGTR) has recommended anti-dumping duty on a chemical used in paint and printing industries, originating in or imported from Brazil, Indonesia, and Thailand for a period of five years. Imposition of the duty would help guard domestic players from cheap imports of ‘non-plasticised industrial grade nitrocellulose damped in isopropyl alcohol having nitrogen content in the range of 10.7-12.2% from the three countries. The product is used in the manufacture of auto refinish paints, leather finishing lacquers, nail varnishes, and printing inks. DGTR initiated the probe in April 2018 following a complaint from Nitrex Chemicals India which alleged dumping of the product. The Centre slashed customs duty on electric vehicles imported in completely knocked-down or semiknocked down state, while making imported lithium ion batteries and power banks used with mobile phones more expensive. Import duty on EVs in pre-assembled state was cut to 1015% from 15-30%, making it more attractive to ship green vehicles into the country. The lower duty is expected to encourage companies to assemble e-vehicles in the country. Completely built EVs will continue to attract 25% import duty, while those with petrol and diesel engines face up to 100% levy. Venezuelan crude exports to the United States last year fell by 15% to the lowest annual average in nearly three decades. Crude volumes sold to the United States by state-run PDVSA and its joint ventures dropped to 500,013 barrels per day (bpd), the lowest since 1989. Venezuela’s output fell to an average of 1.516 million bpd from January through November in 2018, a 27% fall compared to the 2.072 million bpd for whole of 2017, according to numbers officially reported to OPEC. The United States, Venezuela’s largest crude export destination ahead of India and China, has been particularly affected by the shipment drop especially since US has placed the country under sanctions. India is poised to become the third-largest consumer market behind only the US and China; and consumer spending in India is expected to grow from USD 1.5 trillion at present to nearly USD 6 trillion by 2030. With an annual GDP growth rate of 7.5 %, India is currently the world’s sixth-largest economy. By 2030, domestic private consumption, which accounts for 60 % of the country’s GDP, is expected to develop into a USD 6-trillion growth opportunity. The growth in income will transform India from a “bottom of the pyramid economy” to a middle class-led one. Future consumption growth will mainly come from rich and densely populated cities and the thousands of developed rural towns. ndia largest startup ecosystem was inaugurated Kerala, a 1.8-lakh-square-feet facility housing incubation set-ups across a string of segments in modern technology. The Integrated Startup Complex under the Kerala Startup Mission (KSUM) includes the ultra modern facilities of Maker Village that promotes hardware startups, the BioNest that promotes medical technologies, BRINC which is the country’s first international accelerator for hardware startups; BRIC which aids developing solutions for cancer diagnosis and care, and a Centre of Excellence set up by industry majors such as UNITY. After the completion of three more projects, Kerala will have startup and incubation space of 5 lakh sq ft, which will be the largest of Besides the Maker Villager with its 30-odd startups, the facility has nascent firms working in fields such as biotechnology, computer-aided design, augmented/virtual reality and advanced communication. Officials pointed out that TIZ was set to become the country’s largest Work-Live-Play space exclusively dedicated to startups. 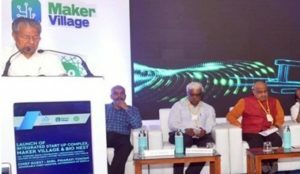 The Maker Village, set up by the IIITM-K in association with KSUM and supported by Ministry of Electronics and Information Technology, houses 65 startups working in electronics hardware technologies. The government will construct 44 strategic roads along the border with China and over 2100 km of axial and lateral roads in Punjab and Rajasthan, abutting Pakistan. 44 “strategically important” roads along the India-China border are to be constructed to ensure quick mobilisation of troops in case of a conflict. These 44 strategically important roads along the India-China border will be constructed spanning 5 states of J&K, Himachal Pradesh, Uttarakhand, Sikkim and Arunachal Pradesh at a cost of nearly Rs 21,000 crore. 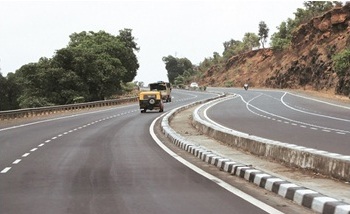 Lateral and axial roads measuring over 2,100 kilometers will be built with a cost of around Rs 5,400 crore in Rajasthan and Punjab along the Indo-Pakistan border. India has surged past Japan to become the second largest steel producer with a growth rate of 4.9% in the world with expansion in output backed by a sound growth in demand. According to the association, India also likely to become second largest nation in steel use by the end of 2019 as the steel demand is expected to grow by 7.3%.